wpTimeMachine is one of the best WordPress plugin which helps you to backup your entire WordPress blog to your Dropbox account. Yes the entire WordPress blog, it will take the backup of all your WordPress files, themes, plug-ins, images and database also. 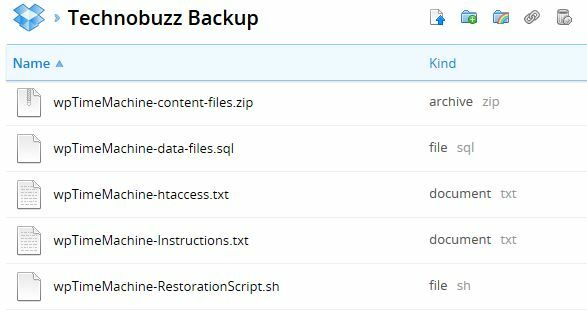 You can also use this WordPress plugin to backup your blog to your Amazon S3 Services or another FTP server. So below is the tutorial which helps you to take the complete backup of your WordPress blog on the cloud. 1. Download and Activate ‘wp Time Machine’ plugin in your WordPress blog. 2. Now go to the Setting page of your WordPress Dashboard and click the wp Time Machine Setting to configure the WordPress plugin. 3. Now enter the details of your Dropbox login info and password with the directory name, where you want to save your Backup files. 4. After filling all your details hit the Generate wp Time Machine archive button, to start the backup process. Please wait while your files & data are being archived. 6. Thats it! Now its time check your Dropbox account to see the backup files. Here is the screenshot of our dropbox account. Wp Time machine is one of the awesome wordpress plugin to take the full backup of your wordpress blog on your Dropbox account. 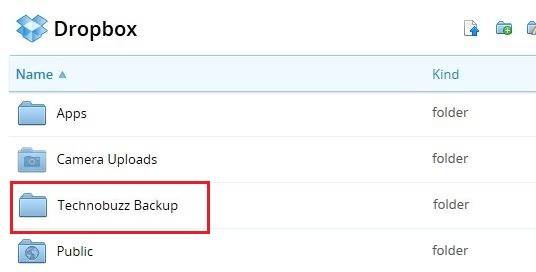 Do try this plugin on your wordpress blog to take the backups easily and store them in the cloud.